You must make reservations at least 5 minutes in advance of the time at The Choice - B.Y.O.B. 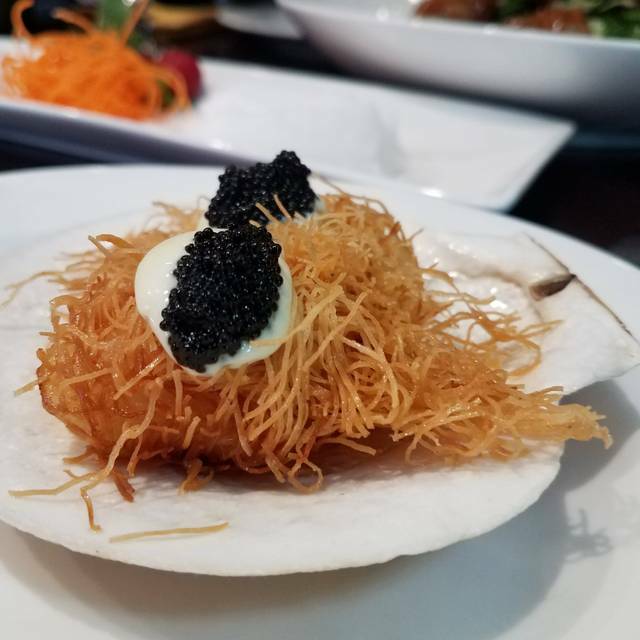 Offering a modern European Fusion cuisine, The Choice - B.Y.O.B in Bnyn Mawr is a new addition to "Philadelphia's Mainline " neighborhood harnessing that American "melting pot" attitude. 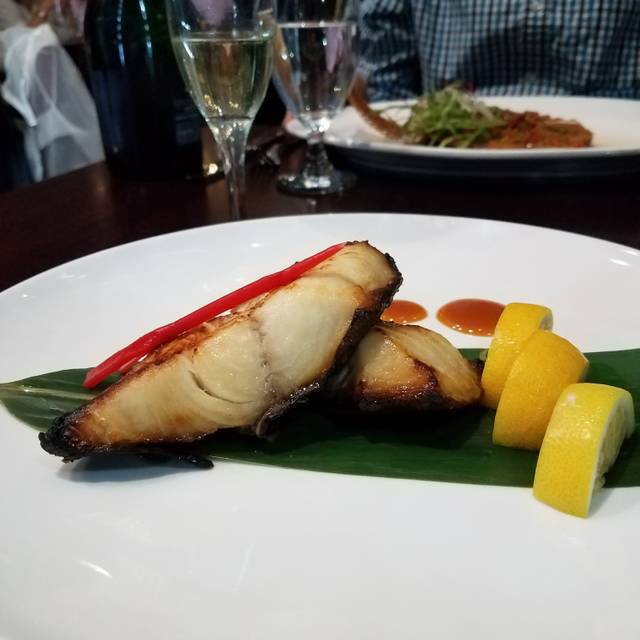 Our menu is composed using a fresh selection of meats, seafood, and seasonal vegetables using a mix of traditional and modern techniques bringing them together. Our warm and friendly staff look forward to your visit! We have visited The Choice on more than one occasion. Food is amazing and the team is just perfect. We love going there and look fwd on our next visit. Had the halibut special at the suggestion of our server and it was fantastic. 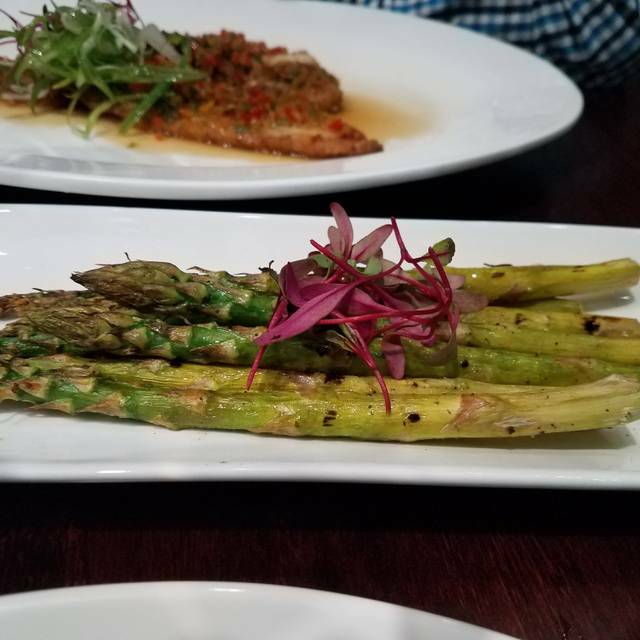 The food is always delicious and service is excellent. We love that it is BYOB, too. This is one of the best BYOBs on the Main Line. We last went as a group of 4 people and ordered 11 different dishes off the menu, all were excellent. We especially loved the Soft Shell Crabs, Lobster Ceviche, Scallops wrapped in Filo Dough and the Veal Tomahawk. 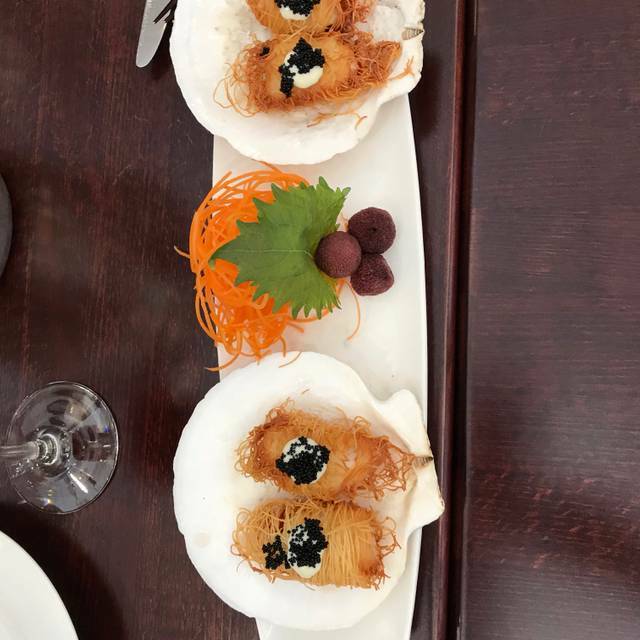 The service was attentive and the food presentation is especially nice! I highly recommend this restaurant! Exceeded expectations and we cannot wait to visit again! Best fine cuisine on the main line. Everything was perfectly cooked and very original! Every single thing we got to eat was fantastic. Lovely dinner as usual. Everyone enjoyed their meal. Love that we have this caliber of restaurant minutes from home! Food was delicious. Presentation spectacular. Attentive service. food was all great but the service was slow and disjointed. Apparently they were short a server and it showed. Still worth the visit for the food. Excellent food at very reasonable prices. We enjoyed the food, atmosphere and service very much! We are looking forward to returning again! Delightful, delicious and beautiful meal. colorful garnishes. I can't wait to return for my next meal! Everything was fabulous! The service, presentation and THE FOOD...WOW! 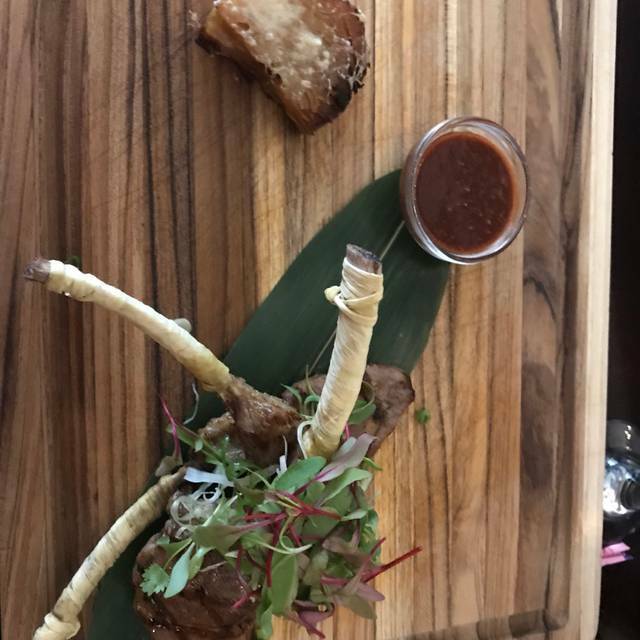 My husband had the waygu beef...it literally melted in our mouths! I had the grilled lobster with veggies...amazing. The octopus appetizer is beyond delish...just as good, if not better due to the prep, as I have gotten in Santorini! Our second visit and we already made another reservation! Love how varied the menu is! Wonderful food!! Well prepared. Great flavors with some different herb and spice combinations that are really delicious and well-thought out. Don’t miss it!! The Choice is very good for a local BYOB. The newest change, charging 3% for credit card use, is ridiculous. Either slightly raise the prices, or forget it. The menu needs to have some change over time. Lamb chops and short ribs werr incredible! The sauces were delicious, and the service was impeccable. I would definitely go again and recommend it! Great service and good food. BYOB. I would a give this restaurant 5 stars on food and service if the portions were larger, you did not have to pay $7 for your vegetables, and they served a good bread instead of "bread chips". As it was, I went home and made something to eat because the smallest branzino in the ocean was not enough food for me. We went to Choice for Valentine's Day dinner. we arrived on time and were seated promptly. The restaurant was about 3/4 full. Our waitress came to ask if we had any questions about 15 minutes after we were seated. We said no and asked for champagne glasses. It was a long wait before the arrived. As we looked over the menu there seemed to be lots of interesting items. My wife ordered the seafood soup for an appetizer. It was hot and tasty though the seafood itself was overcooked. It was also a little too salty. For our main courses, we had Duck and one of the many kinds of seafood dishes the fish was very bland and tasteless. The duck was overcooked and slightly tough. Prices are on the high side for the quality we received. I server did not come back to the table until we had finished our meal. All in all a lackluster experience. Fabulous lunch. Great menu and everything was delicious. But we were the only customers in the restaurant - probably more fun to go for dinner! The food is excellent. Now that I have that out of the way, let's chat about The Choice. Is it my Choice? Perhaps not. The service is mediocre. Our server seemed to be preoccupied or was new at being a server. It would be nice if a BYOB offered a place to keep your white wine cool. Most BYOBs do. It is not the cost - its the principle. They would better off bumping their menu charges to cover their credit card overhead. Having a server deliver this message is difficult for them. Print it on the menu if its your policy, but don't laden the server with the bad message. This alone is enough for me not to return. The good news is that having visited Choice several times, this time was no different. Our food was as good as it gets on Main Line Philadelphia - and our server was attentive, polite and friendly. Unfortunately, the not so great news is also unchanged. The lackluster decor does not radiate a warm, inviting environment - and the overloud noise level has been annoying each visit. I suggest that you disregard the negatives and treat yourselves to a delectable dinner - you won't be disappointed! Great dinner. The Kobe and Wagyu beef were outstanding. Always a delicious meal! We have never had a bad dish! The service is excellent and they happily accommodate any special requests. There is food for every taste on the menu and they are constantly adding new dishes. The hardest part is deciding what to order. As usual, the food and service are exceptional, but we were surprised by a "Non-Cash Adj" of 3% which was a fee for using my credit card that I found when I asked. First I should have been given notice, and second it's a fateful thing to do; if you want all the customers to pay cash, just say so. Here I would have paid cash as i often do; this is quite unfortunate really. 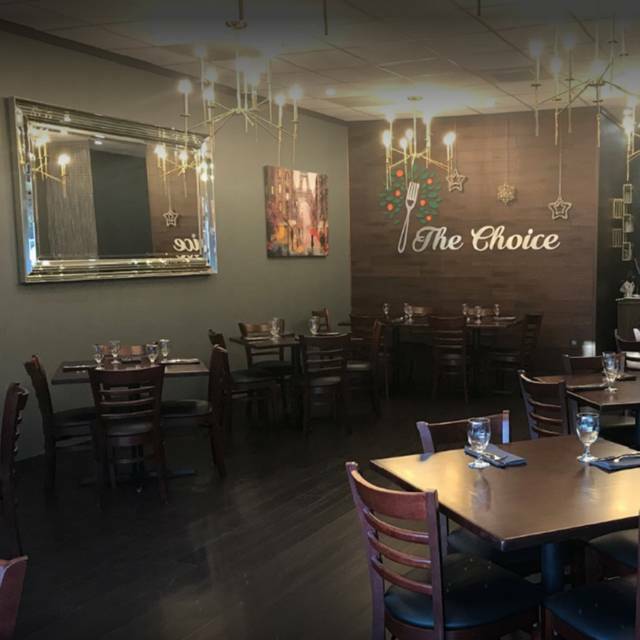 We had dined at The Choice several months ago and loved the food and the menu. We returned this past Saturday evening and felt disappointed. 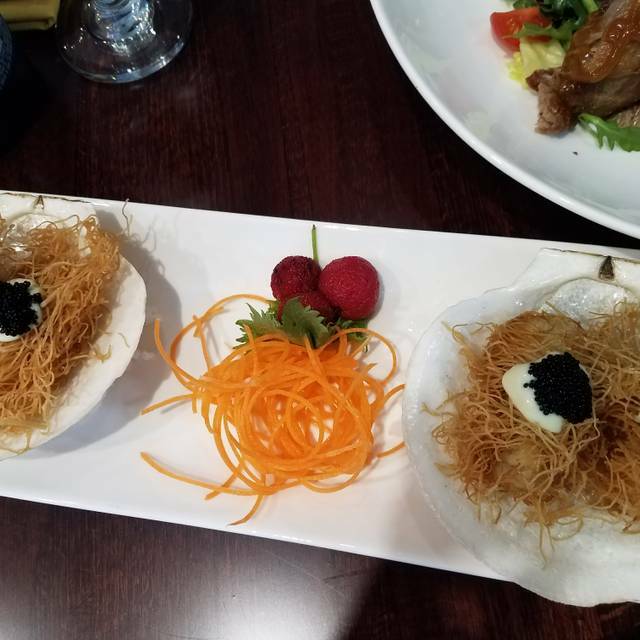 The menu has grown, but the quality of the food was just OK. That spark of creativity in the preparations was missing.The portions, which were generous previously, were much too small. Imagine paying $14.00 for a salad consisting of about a cup of lettuce! Even the main course fish dishes were very small--all of which makes the clientele feel that the food is overpriced. The Choice BYOB was OUTSTANDING! The menu is so diverse it was hard to choose...I had the octopus with vegetables and the sautéed lobster special...both were so delicious. My dining companions had beef tartar, foie gras, tuna tartar and miso cod...everything was superb! We will be back for sure! Best food on the mainline without a clear second place. My friends who had never been there were shocked how good it was. The foie gras was worth every penny! One of the people in our party got sick that evening after eating at the restaurant. Tasty lamb chops and shrimp, pleasant, helpful and friendly server. Relaxed setting, a bit noisy but well worth going. Filet was perfectly cooked and very tender. Duck was fantastic. Raw oysters delicious. Looking forward to next dinner so we can try more dishes.